For the past 30 years, Microsoft Project has been considered the gold standard for project management. But times have changed — and Project hasn’t (much). Project approaches like Agile, Scrum, Lean, and Kanban have grown substantially. Yet, Project remains a Waterfall tool. For another thing, PM software is now cheap(er) than it used to be. Project is still expensive. Finally, PM isn’t just about tracking resources. It’s about collaboration. Project also has a steep learning curve. You’ll need to train everyone with MS Project Essentials, or similar training. Ideally, you need a certified project manager for effective use of the software. So let’s take a look at some popular alternatives to Microsoft Project. 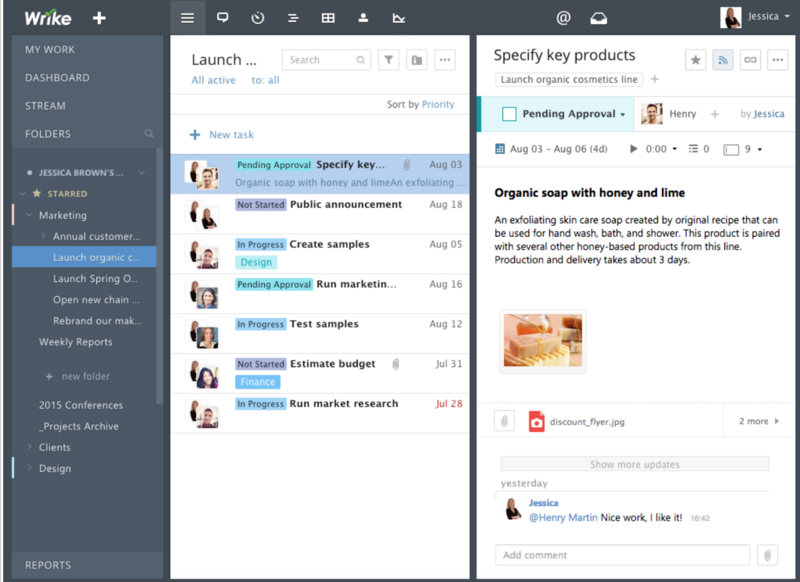 Wrike is a cloud-based project management and collaboration tool that can be used by any-sized team. It’s much easier to use than Project and because it’s cloud-based, nothing has to be installed on the desktop. Project users can upload files directly to Wrike tasks, where they can be edited and versioned in real-time without being downloaded. With Wrike’s free mobile apps for iOS and Android, you can check on project progress easily on the go. You can invite an unlimited number of guest users to collaborate on Wrike tasks — for example changing task status, adding comments, and adding or deleting file attachments. Agile project workflows can be set up and managed in Wrike. Also, Wrike can be linked to numerous third-party services including Google, Microsoft, Adobe’s Creative Cloud, Box, GitHub, and JIRA. Customization, in most cases, is awesome — and Wrike enables users to customize just about everything. But sometimes, that leads to a lot of clutter. And we all know, that confusion usually soon follows. We’ve all used software that bombards us with email notifications (why don’t more use threads?). Unlike most of its counterparts, Wrike uses email as a primary means for communicating changes. Write breaks projects up into tasks, which often results in a lot of files and comments building up within tasks. And we haven’t found a way to effectively break up tasks to help reduce the clutter. What Wrike costs. Wrike’s entry-level Professional Plan for small project teams costs $9.80 per user/month, compared to Microsoft’s Project Online Professional plan, which costs $30 per user/month. In addition, Wrike guest users don’t pay a fee, whereas the equivalent Project Essentials users cost $7 per user/month. How it compares to Project. Price aside, Wrike allows room and options for collaboration that Microsoft Project can’t compete with. If your team has lots of different short-term stakeholders, it may be worth considering a switch to Wrike. Clarizen is well-suited for large enterprises. Consistent with its enterprise focus, Clarizen provides a comprehensive set of features for planning, executing, and managing projects, including resources, project financials, and management of time and expenses. Clarizen was designed to be easy to use, with streamlined navigation that provides one-click access to all modules. It’s really easy to start a project with Clarizen, using your own or a pre-defined project template. Projects can even be initiated from an email message! It has a powerful collaboration mechanism. Each project or workgroup has a unique workspace, where users can collaborate on project documents, assign tasks, and update status. Clarizen also allows you to invite clients, suppliers, and other third parties to participate in a workspace. Clarizen also has out-of-the-box integrations and add-ons with numerous third-party services including Salesforce, Microsoft Outlook, Excel and SharePoint, Box, QuickBooks, and JIRA. Clarizen has two editions—Enterprise and Unlimited, prices for which are provided on request. Clarizen clearly was designed with the enterprise in mind. It has a lot of features and functionality. If your organization tends to work on smaller projects involving 2-3 people, Clarizen is probably too powerful. It probably isn’t the best investment for small businesses. Speaking of money, Clarizen isn’t the most budget-friendly option. As you’ll see below, there are a few different editions of Clarizen, and when you throw in its per-user pricing model, the price adds up. It’s also worth noting that other users mentioned they found Clarizen’s pricing model confusing. What Clarizen costs. Clarizen offers multiple pricing options. It’s Professional Edition costs $29.95 a user, per month. The Enterprise Edition costs $44.95 a user, per month. Clarizen also offers an Unlimited Edition that costs $54.95 a user, per month. How it compares to Project. Clarizen’s ability to work with Microsoft Office products makes it a direct competitor to Microsoft Project. If you want a product that works well in the enterprise and is easy to use, consider Clarizen. Yes, sometimes it’s worth breaking away from Microsoft. It’s well known that many organizations are almost exclusively run on good ol’ Excel spreadsheets. Excel is great to a certain extent, but it’s a bear to use for anything other than small projects. With Smartsheet you get the best of both worlds — the ease-of-use of a spreadsheet, combined with the power and flexibility of a real project management and collaboration tool! 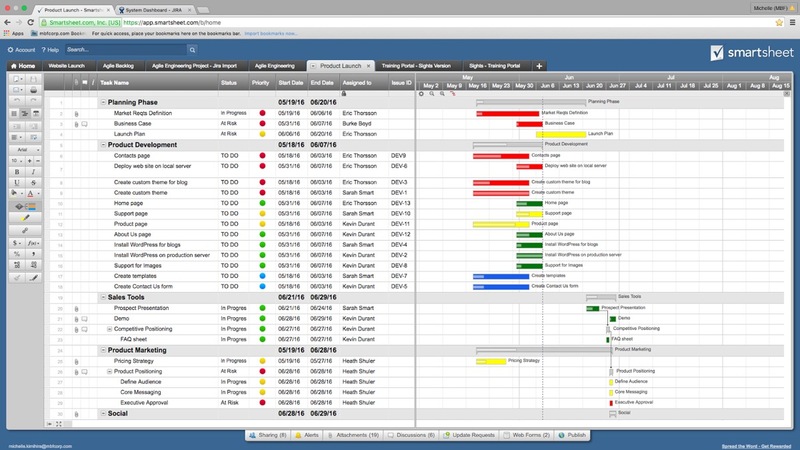 Smartsheet enables you to create and manage projects — of any size and complexity — rather easily. It supports familiar project management constructs including Gantt charts, Kanban boards, dashboards, automated workflows, and resource management. Projects, tasks, calendars, and files can be readily shared from any device. 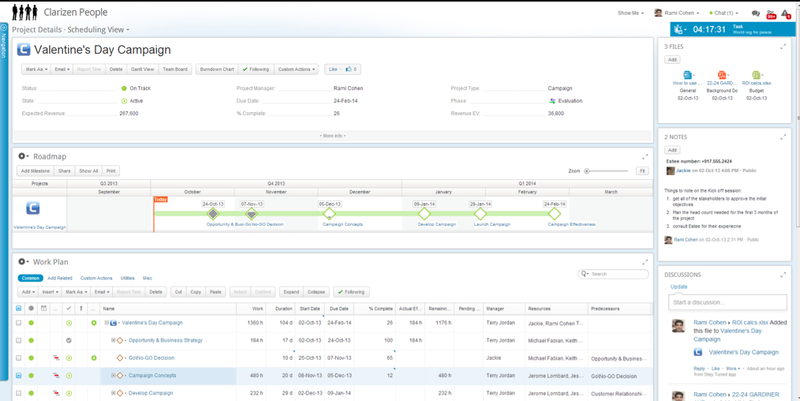 Smartsheet supports Scrum projects through a pre-built Agile project plan template. Smartsheet allows project work to be shared in real-time, with users able to access tasks, calendars, files, and projects easily and securely from any device. Specific collaboration features include discussion forums, calendar sharing, and document sharing. For program managers with multiple IT projects to oversee, Smartsheet recently announced their Smartsheet Accelerator for IT PMO. The accelerator provides clear visibility into all managed projects. From across their lifecycle from project prioritization through tracking, executive reporting, change management, and project archiving. In addition to the accelerators, Smartsheet has out-of-the-box connectors for services such as Salesforce and JIRA. 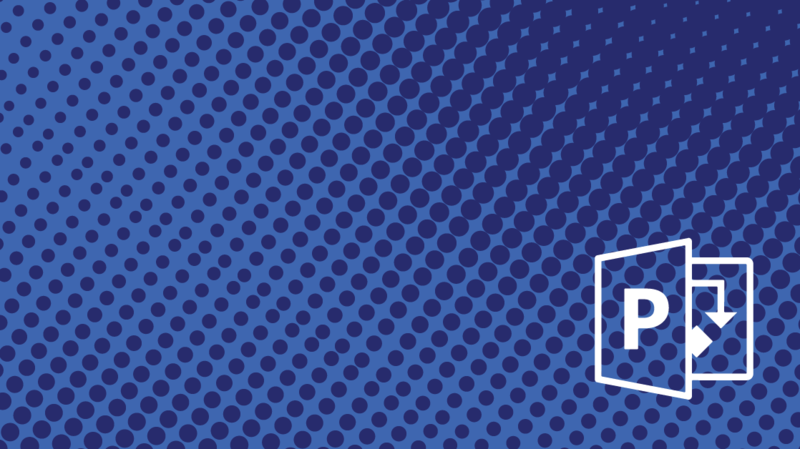 We didn’t expect Smartsheet to be a mirror image of Excel. That said, we wish Smartsheet was more like Excel when it comes to conditional formatting and performing math functions. It’s not quite there. Being able to link sheets is a huge time-saver and helps connect all the dots on project tasks. When researching Smartsheet, we noticed several users mentioned that sometimes there are issues with linking sheets — particularly longer ones. So, that’s something to keep an eye on. What Smartsheet costs. For practical purposes, the entry pricing plan for organizations is the Smartsheet Business Plan, which costs $25 per user/month, with unlimited free collaborators. Prices are provided on request for the Enterprise Plan, which is unlimited in terms of numbers of users, projects, and reports. How it compares to Project. If your team is making the leap from spreadsheet to full-fledged project management tool, there’s a step in between that you can take. Smartsheet will boost your Excel prowess to the next level. It might be an easier fix for your org than simply abandoning those thousands of rows of data you have saved in Excel. Zoho Projects is a tool that supports project planning and collaboration, as well as issue management. Designed for small to mid-sized businesses, Zoho Projects allows project managers to set up project tasks, assign them to teams, estimate project costs, and track in-progress tasks. It provides comprehensive dashboard and reporting capabilities that report the real-time status of projects, tasks, and dependencies. If plans change, the user can make the necessary edits directly on the chart. Zoho Project was designed with collaboration in mind. It has capabilities for user forums, chats, project feeds, and pages. Zoho Project’s Pages feature lets a team share a repository of project information — ideas, reference material, and the like — solely for the team’s use. Team members can also add tasks, post messages, or file an issue to the project’s dedicated feed. This keeps team members updated and consulted on key issues — without the need to schedule a meeting. Zoho Project draws upon familiar social media cues, such as @mentions, to ensure fast, painless user adoption of collaboration features. An interesting Zoho Projects feature is Gamescope, which allows you to motivate project team members by turning their work into a game. You can set up leaderboards for various metrics. You could choose lines of error-free code written, user issues successfully resolved within SLA, or whatever you choose! Then, you can offer badges, trophies, prizes, or team accolades that will help drive project success. Yes, Zoho Project has Agile-based features, but if you’re an Agile shop, you might be better of considering a different PM software. Or you better be prepared to do some serious customization to make Zoho fit your needs. On the surface, Zoho’s document storage feature looks good, but in terms of functionality, it’s lacking. For instance, it doesn’t support a wide variety of document types. Some users noted that it doesn’t do well with Google Docs. As a result, you might want to consider using another method of storing your project documents. Zoho has a pretty simple interface (some might say it’s a little bland), but somehow it still can be a little difficult to navigate. As a result, it can take a while to get the hang off — and we aren’t alone. We read numerous reviews of Zoho that pointed out the learning curve. What Zoho Projects costs. Zoho Projects has a range of feature and capacity pricing plans ranging from Standard ($20 per month for 15 users and 10 projects), all the way to the Enterprise plan ($125 per month for unlimited projects and 25 users, with additional users at $4 per user/month). How it compares to Project. Zoho Projects offers the features of Microsoft Project, Microsoft Teams, and Microsoft Word — all on one platform. Plus, it has the added bonus of gamification. If your team needs a boost to finish tasks, Zoho Projects is a fun option over Microsoft Project. We’ve provided you with four good alternatives to Microsoft Project, but we have barely scratched the surface of the competition that Project faces. If you are looking for a Project alternative, then decide what’s important for you and check out these and other software tools. Many offer free trials, so you can kick the tires on a few of them before you commit to one! If you’re on, or are planning to start on, a career in project management, then take a look at our previous posts 5 Project Management Certs, No Experience Necessary and CAPM vs PMP vs Project+ for New Project Managers. You’ll get some ideas on how to build a track record of project experience and prepare yourself for a project management certification.